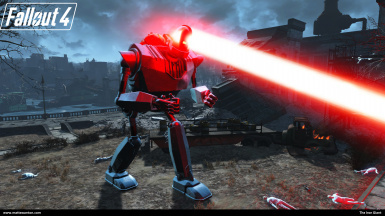 Replaces Liberty Prime with The Iron Giant! Easter Egg North West of Vault 111 if Airship Down is completed (works even if the quest has already finished). 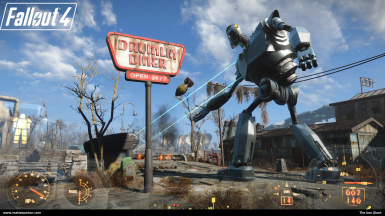 Spawnable Original Liberty Prime added. Optionally have Liberty Prime's Nukes still on his back, or invisible. Also available on Bethesda.net for PC and Xbox 1. 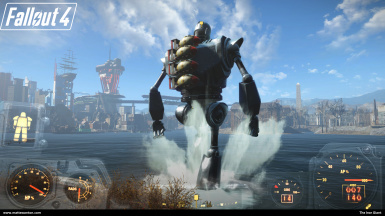 The Iron Giant will either begin to appear when returning to Boston Airport from The Bomb storage facility during Liberty Reprimed with the Brotherhood quest line. (Up until that point, Liberty prime is in separate pieces and will still be Liberty prime’s meshes) or he will appear during Airship Down with the Institute quest line. 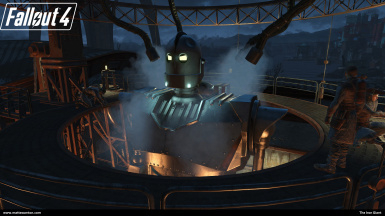 The proportions of the Iron Giant had to be modified to fit Liberty Prime’s skeleton. I would of preferred to modify the skeleton to fit the model, but it looks like the only way to do that is to modify every single animation. At this time I was not able to get working the Havok tools to find out if editing the animation skeletons is possible. So for now this will have to do.